. 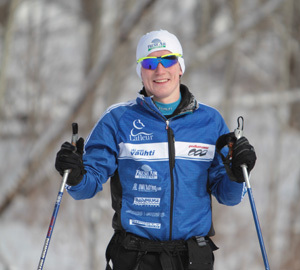 : Logan Potter :: Ski XCOttawa.ca :: Skiing in Ottawa and Gatineau Park :. Logan is yet another skier who comes to us from Whitehorse. He is great fun to train with. His notable results include being aggregate 3rd at the 2008 Nationals at Mt. St. Anne and 4th in the 15km classic CCUNC (Canadian Colleges and Universities National Championships) in 2011. He has also attended the Canada Games for soccer. In 2010 he was 18th in the long distance classic at Whitehorse Nationals. This year he moves up to the Senior ranks and hopes to work to stay competitive and improve his ski technique. He is attending Carleton studying psychology and hopes to learn to cook well with the goal of feeding XC Ottawa a 5 star meal by the end of the season.